As people who proclaim the most important truth to mankind, we better do our best at communicating that message as clearly and compellingly as we can, understanding that God’s Sprit is at work in and through us. If you’re like me, though, you go about evaluating your last sermon and then find yourself simply watching or listening to your message without actually evaluating it. You naturally notice little quirks here and there, but you don’t make the most out of the process. 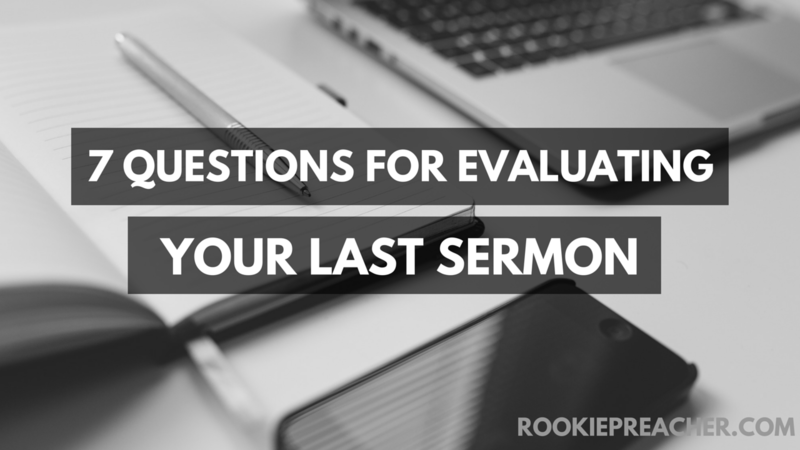 In hopes of changing that, here are some questions for when you are evaluating your last sermon. 1. Was what I proclaimed true? Let’s get an easy one out of the way to begin. Did you say anything off the cuff that was completely wrong? Did you misquote a statistic? Did you clearly proclaim truth within your message? If yes, then how? If not, then how? It’s important to go deeper than a yes or no. 2. Did I build tension then resolve it? Before you even got into the text, did you engage people and bring tension into the conversation? In other words, did you build anticipation toward a problem and get people on board with where the message is going? Did you get them nodding yes with you and then did you build in some kind of conflict? I wrote more on identifying and exposing the tension here. 3. Was my biblical exegete accurate and true to the text? Did your hard work of sermon preparation pan out into a clear and concise exegete of the text you preached on? Did you engage with the text on the contextual level, the contemporary level, and the grand narrative of Scripture level? In other words, did you place people in the time of when the text was written, did you place the text in the here and now, and did you show your hearers where this passage fits into the grand Gospel narrative of Scripture? For more on that last part, check out 3 simple steps to preach the Gospel no matter the passage. 4. Did I engage the intellect? Did your deep study of the text come through your message to where people’s intellects were engaged? Did you make people think about the claims of Scripture? Did you appear as though you didn’t half-heartedly walk up to the pulpit with a vague idea of what you wanted to say? Did you show people how Scripture results into a cohesive worldview and did you present it in a cohesive way? For more of an explanation on this, listen to episode 83 of the Carey Nieuwhof Podcast where he interviewed Ravi Zacharias. It was gold! 5. Did I engage the emotions? Did your understanding of what people are going through come through your message? Were you able to get beneath the surface to where people’s deepest fears lay and engage those? Were you able to preach to the heart to where people were convicted and felt the weight of the message? Did you display the emotion of the text? Did you use any stories that brought out the real struggle that the text addresses? Same as #4, listen to episode 83 of the Carey Nieuwhof Podcast where he interviewed Ravi Zacharias. 6. Did I connect the text to every day life? 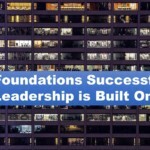 Throughout your message, did you go from the contextual level to the contemporary level? Did you show the congregation how this works out on Monday when they’re at work and having a difficult day? Did you connect the principles found in the text to our outward call to make disciples, love God, and love people? This goes beyond simply applying the text, it goes to a question you must ask yourself before you preach. Read that and then come back to answering this question of your last sermon. 7. Did the congregation know what to do in response? Every message needs a response of some kind. Did you call the congregation to do something in response to the message presented? Did you have an action step? Did you connect the text to today to the point of giving them one, specific thing to do? You may think that this is a bit too much spoon feeding, but what I’ve found is that when people start responding to sermons with action, they serve more, give more, and come back more. Who would have thought?! This is vitally important to do. 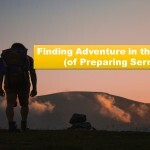 For more on how you can do this well, read the 7 types of actions steps to end your sermon with. Get your copy of the Sermon Evaluation Worksheet which takes these 7 questions and puts them into an easy-to-use PDF format that you can print and work through each week after you preach. Get this and 3 more great resources for free by subscribing to the Rookie Preacher Community.